We peered through the Port Townshend Shipwrights Co-op doorway, the smell of machinery and wood filling the cavernous building along with a chorus of power tools. “Come on in. You can see what’s going on from overhead.” One of the workers pointed to stairs leading to a walkway above the expansive workspace. 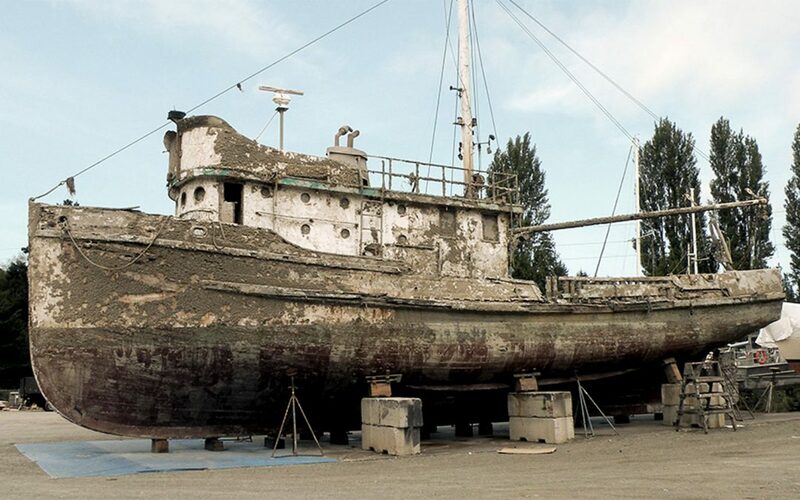 We entered the home of the wooden fishing boat, Western Flyer, now under restoration after a hard life at sea, and sinking twice. Once harbored in Monterey, California, the vessel’s rich history firmly anchors its role in literature, research, and environmental protection. John Steinbeck’s book, The Log from the Sea of Cortez, chronicles a voyage aboard this same Western Flyer. In 1940, Steinbeck and his friend, marine biologist Ed Ricketts, chartered the 77-foot sardine boat, Western Flyer, along with a four-man crew. They planned a six-week expedition to the Gulf of Mexico to collect marine specimens from coastal rocks and tide pools in order to study ecosystems and document their findings. 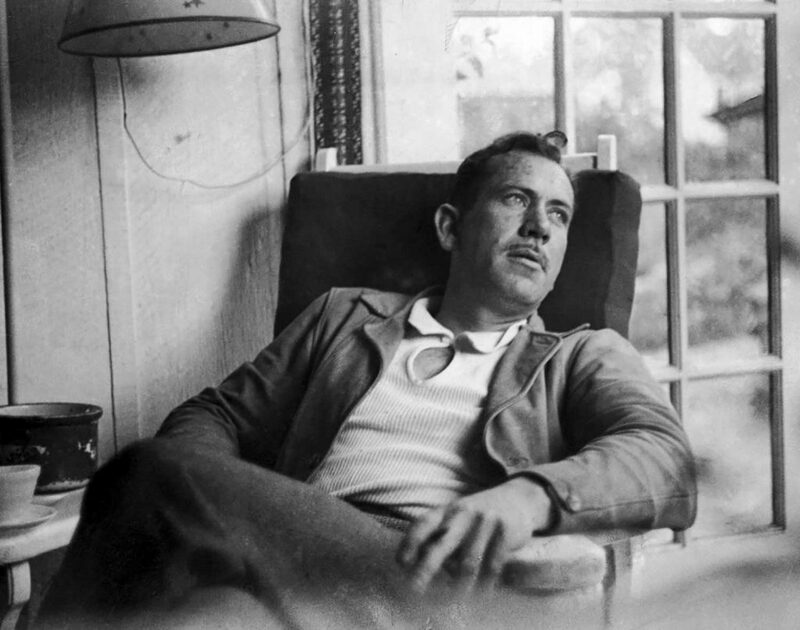 The trip also provided Steinbeck a chance for a brief escape from mounting controversies and criticism over The Grapes of Wrath, and a respite for Ricketts, who was navigating the breakup of a long-term relationship. The two men had planned to produce a book together, and the timing couldn’t be more perfect. The day-to-day story of the trip combines autobiography, science, philosophy, literature, natural history, exploration, and high-spirited adventure. 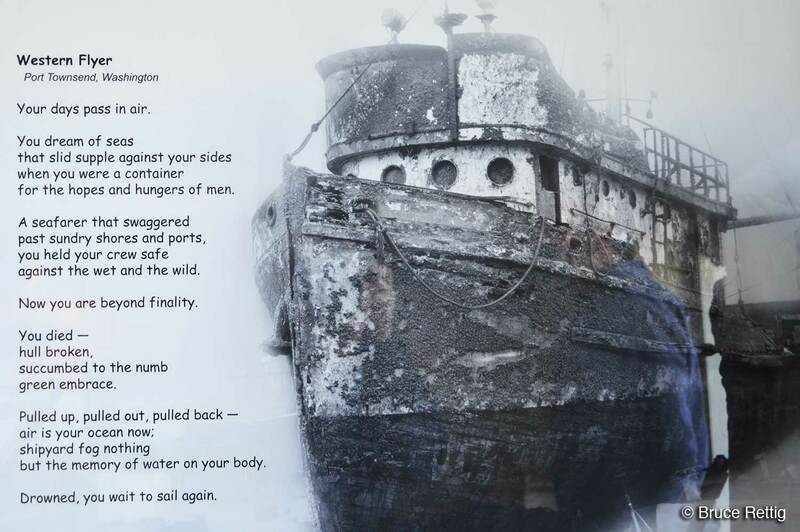 Although The Log from the Sea of Cortez is mostly a travelogue and biological record, it also focuses on the relationship between humans and the environment. The piece studies the interconnections between single organisms and the larger ecosystem, and a number of ecological concerns are addressed, such as long-term damage to the sea bed from Japanese bottom fishing trawlers. 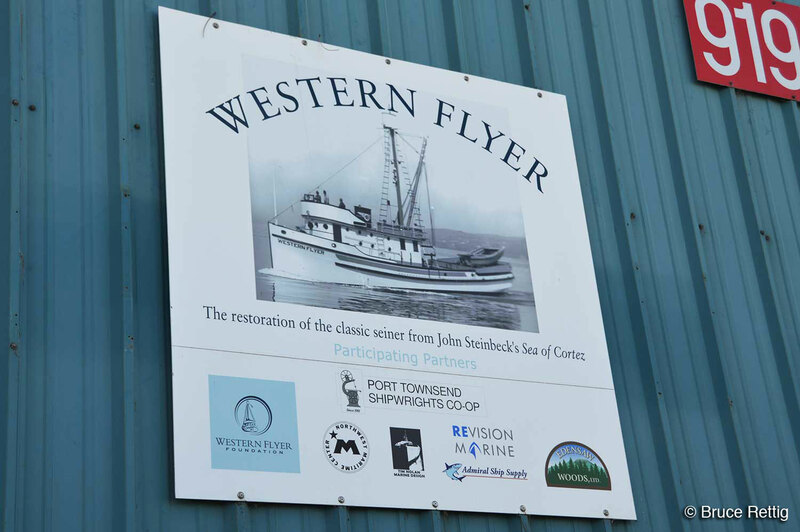 For marine biologists, the Western Flyer holds a special meaning. 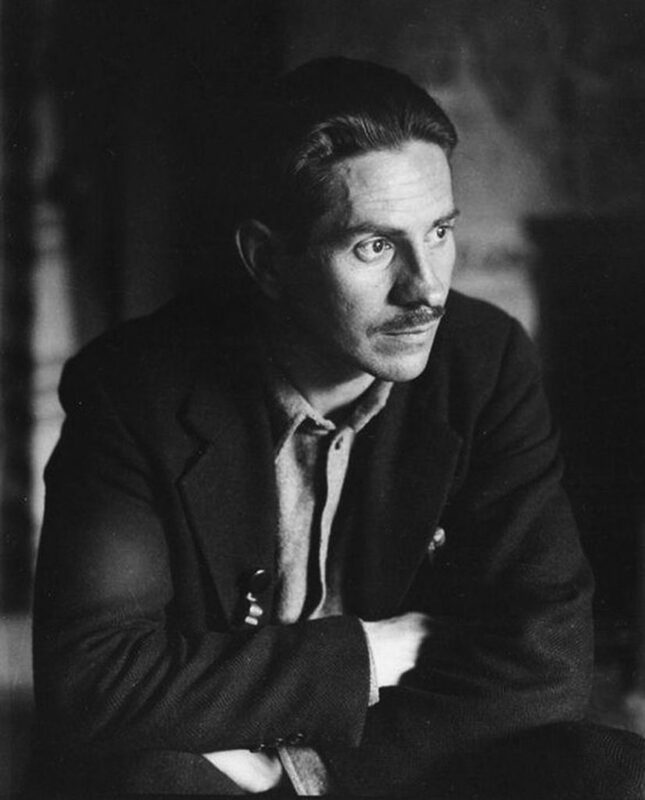 The story of its journey became the foundation for the environmental movement, and the Log introduced readers to the concept of ecology, and how man’s interaction with the environment is so critically important. 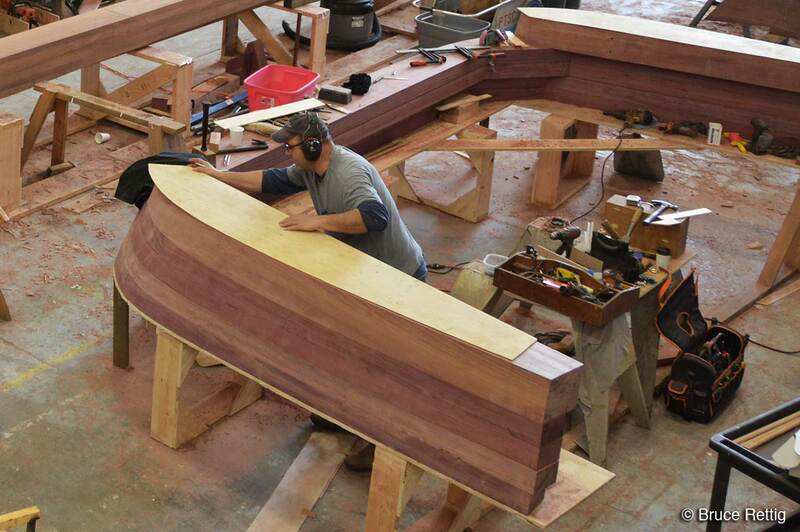 We watched from the walkway as craftsmen continued their meticulous work on the Western Flyer. My two friends were also crew members from my days of working as a merchant marine up in Prudhoe Bay, Alaska. 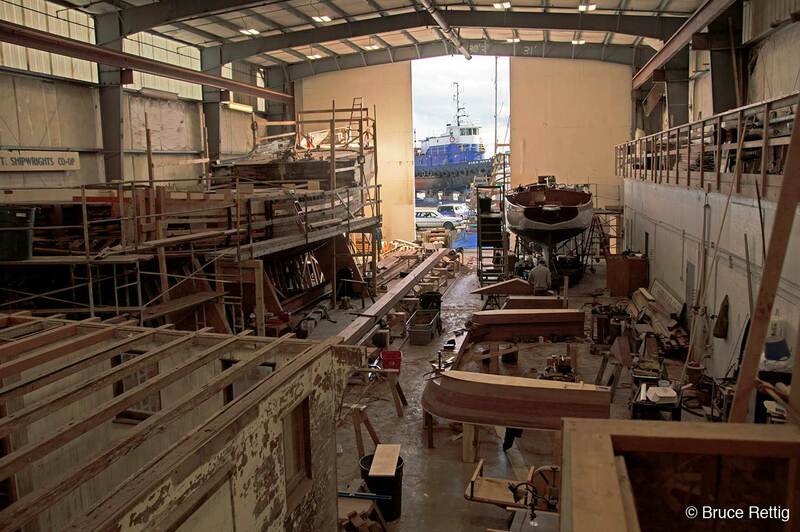 Whenever there’s an opportunity to experience ship-building or boat renovation we jump on it—this afternoon was truly inspiring. We also had a chance to meet the head shipwright of the Port Townshend Shipwrights Co-Op, and he provided details about the Western Flyer restoration and its significance to marine biological research. 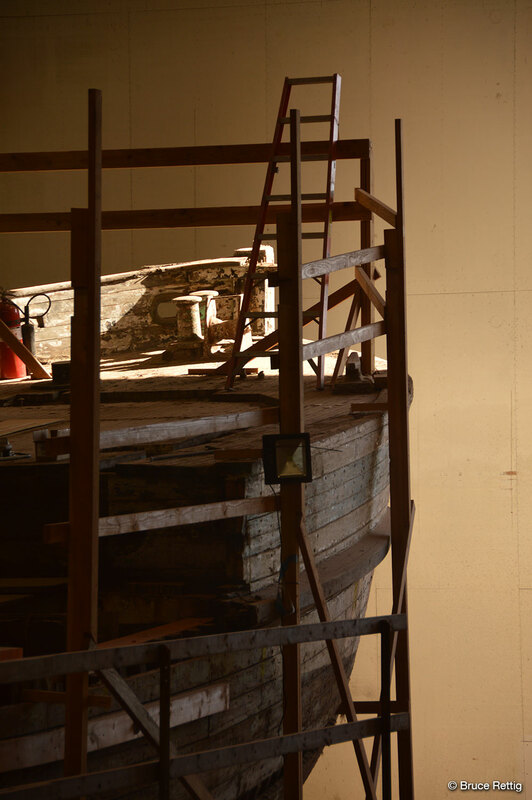 Although originally designed and built as a fishing boat, the restored Western Fly will serve as an educational resource for students, and a research vessel—much as it did for Steinbeck and Ricketts back in 1940. A video link to the Monterey Bay Aquarium Research Institute’s R/V Western Flyer. 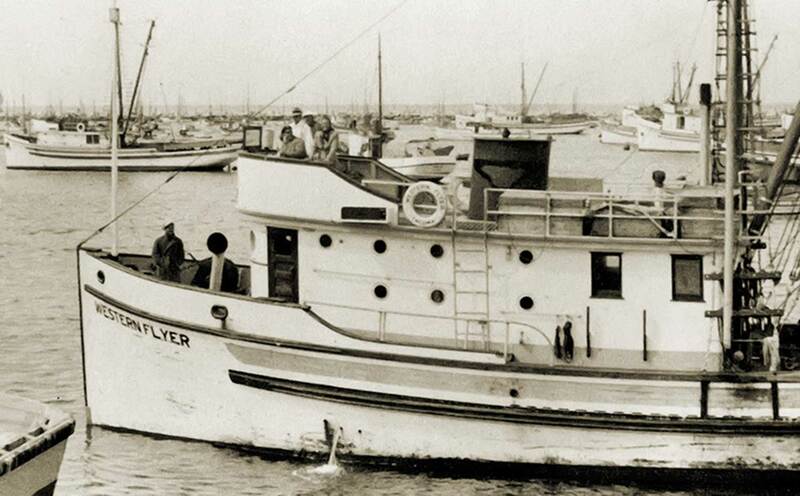 The Western Flyer at the time of her voyage to the Sea of Cortez. This sign definitely caught my attention! Inside the Port Townshend Shipwrights Co-Op building. A little bit of heaven for the author of this blog . . . The Western Flyer bow during restoration. The Western Flyer will sail once again . 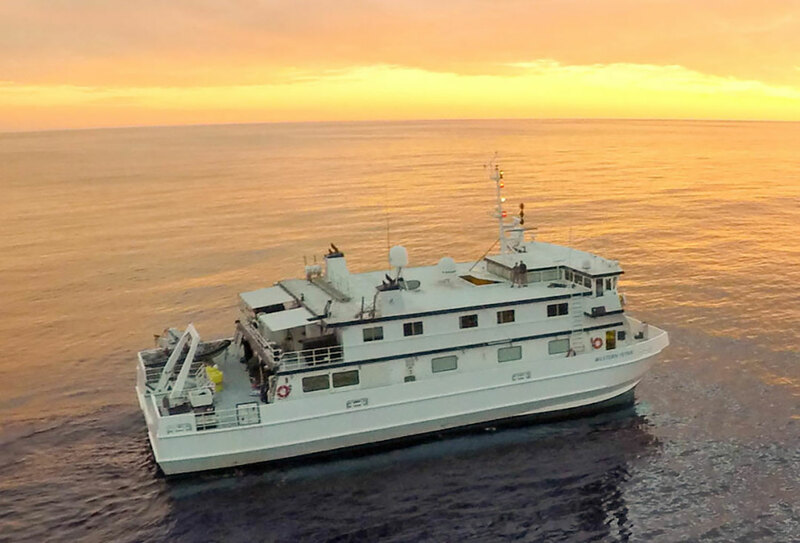 . .
Monterey Bay Aquarium Research Institute’s R/V Western Flyer. 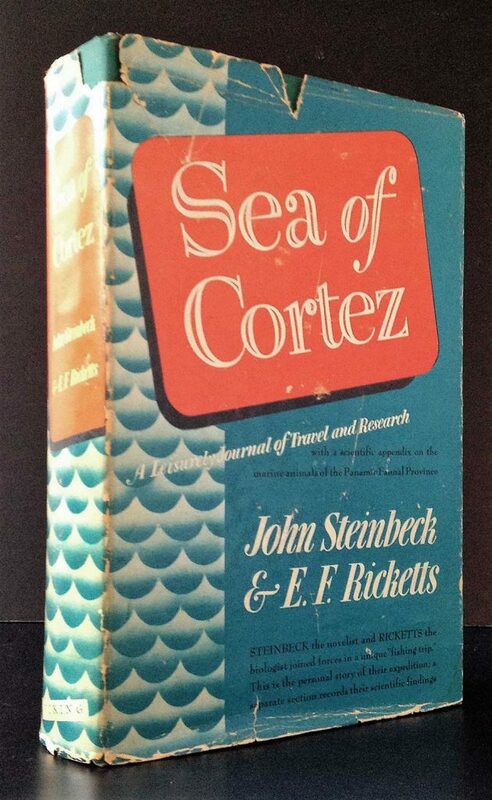 John Steinbeck’s “The Log from the Sea of Cortez,” published in 1951.